Short of Christmas present ideas for your nearest and dearest? Hunter wellies are all the rage... Everyone seems to be wearing them, as shown through these pictures. Jeez, people even where them in CITIES. Times have changed - and proves all things British are best. 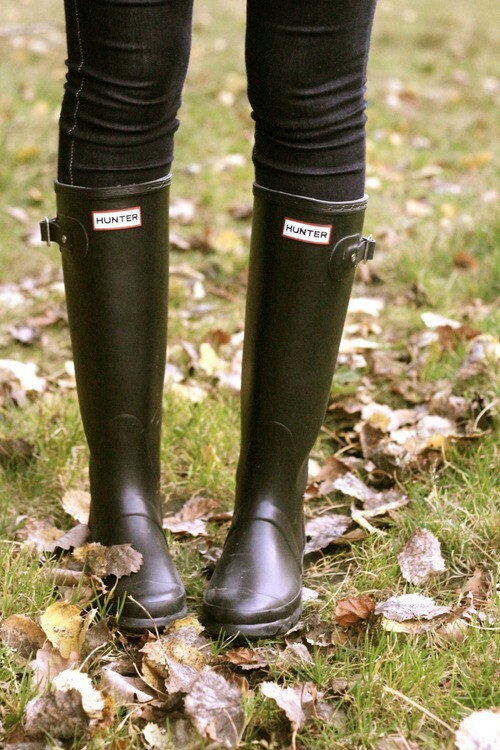 If you ever intend walking in mud or attending a festival - Hunter Wellington Boots are the only acceptable footwear. If you are not a British resident, you probably won't understand what I am about to say: I cannot understand how for a moment Hunter wellies went from being an English-staple to a global fashion statement. Mud. Farms. Walking - this is why you wear them. They are an essential here because we have rubbish weather. So you can imagine my surprise when I was stuck behind a sea of New Yorkers a few weeks ago, all buying Hunter Wellington boots, complete with funky coloured socks. Erm, what?! I was then in Miami and a guy had a pair on on South Beach to walk his dog. So, I conclude that despite the snide giggles I make at all the hoards of people buying them to walk around a city - Hunters are a staple. If I see you wearing them on the street I will probably laugh at you, unless your street is 2 foot under in mud. 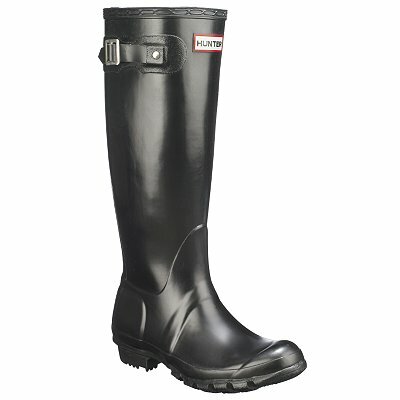 Buy your pair from Hunters from the John Lewis website - £69, but your children and theirs will wear them after you... True investment. And they look even better when covered in mud. 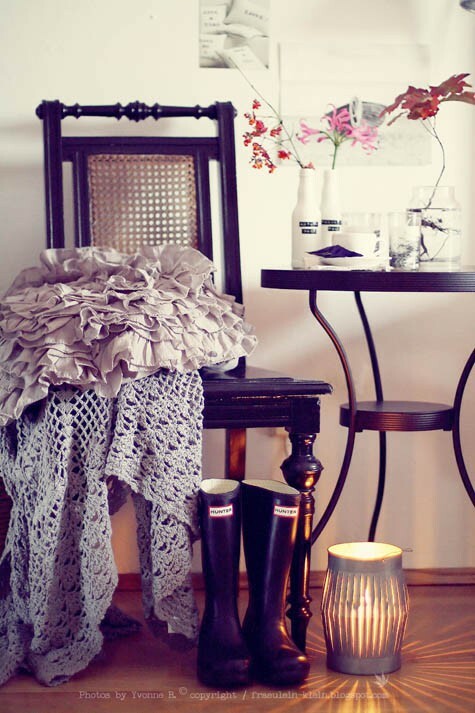 All pictures are from this pinterest list. have you worn them out and about town? Wore mine on the way to work this morning in tribute of this post! I love this post. I agree w/ the comment above me. Manhattan gets super puddles during winter. Otherwise, why?